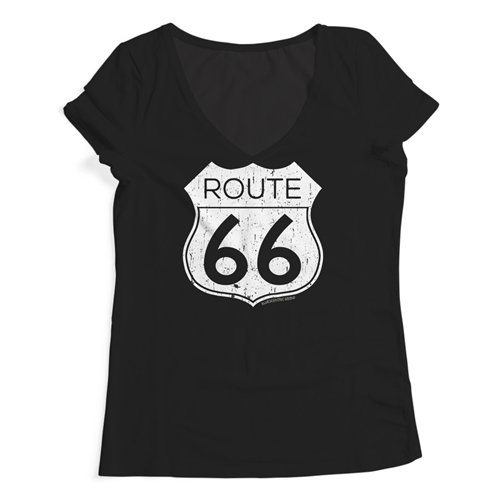 Get your kicks wherever your Route 66 may be with this classy ladies v-neck t shirt. 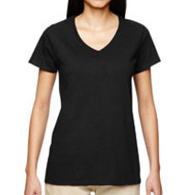 This comfortable ladies v-neck is 100% preshrunk cotton, side seamed, missy semi-contoured. Sizes run very true. 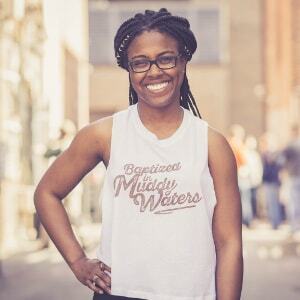 If Heather Grey is an option, cotton count is 90/10.